I am so excited to come down and host my gazillionth Wellington twerk day! Flights are booked, so now I need you! Please invite all of your friends, share the event like crazy and book your spot ASAP! My Twerkshops in Welly usually sell-out in advance so get in quick! If you would like to receive information on the event and booking a spot, either PM the page or drop and email to book@twerkitout.co.nz (preferred). I can also send down some posters if you wanna spread the twerk. The day will consist of a 90-minute TwerkShop at 2pm. Following the Twerkshop will be 1-hour TwerkFit Class ($25 kneepad hire included) (3:45pm). The Twerkshop will be a crazy 90 minutes filled with learning to twerk, competitions, games and routines. It is $35 and includes kneepad hire and prizes. 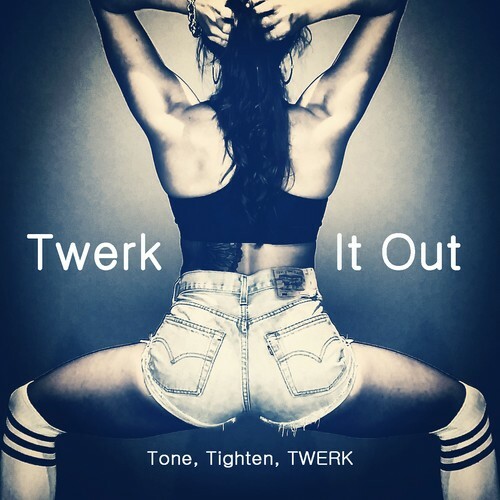 TwerkFit is a dance fitness class to help you tone and tighten whilst shaking what your mama gave ya! Classes last one hour and include strength and cardiovascular exercises, mixed in with dance tutorials, to really make you sweat. How do I Prepay and Book? My twerk days nearly always sell out prior so you must pre-pay to secure your spot! Here you can find create your account and find the class you wish to attend on the schedule. Please ensure your account is fully completed with an email address and phone number so I can keep you up to date with the event! You can pay with any Eftpos or Credit card and will receive a confirmation email once you place is secured. Please email - book@twerkitout.co.nz if you have any questions. We need a minimum of 10 girls for each class for the event to go forward. If we do not have 6 prepayments one week prior the class will be postponed/cancelled and all pre-payment refunded immediately. There will also be new #TwerkitoutNZ clothing to purchase on the day! Any shape, size or fitness level can partake in the classes, so whether you have a booty to rival Beyonce’s or a have a tiny peach like Miley’s we guarantee you will be twerking in no time! All new attendees must complete a registration form before the class so please allow 5-10mins to complete this and pay if required.